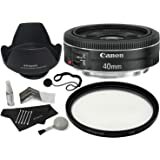 Amazon's Choice for "canon 40mm"
A unique and indispensable addition to Canon's series of EF lenses, the EF 40mm f/2.8 STM offers an ultra-slim and lightweight design. 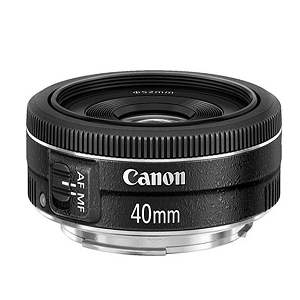 Incredibly compact in size, the EF 40mm f/2.8 STM delivers high image quality from the center to the periphery thanks to its advanced lens configuration including an aspherical element, a bright 2.8 aperture, and optimized coatings that minimize ghosting and flare while providing exceptional color balance. The EF 40mm f/2.8 STM's unobtrusive design helps the photographer avoid overwhelming their subjects with a large lens and to remain discreet in sensitive shooting situations with no compromise in performance. 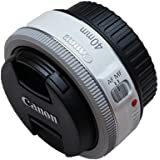 Its diminutive design is complemented by features such as a developed stepping motor for smooth and quiet continuous AF while capturing video with the Canon EOS Rebel T4i DSLR, a circular aperture (7 blades) for beautiful soft-focus backgrounds, and a short minimum focusing distance of only 0.98 ft./0.30 m.
Before buying this lens, I couldn't decide if I would have a use for a lens like a 40mm f/2.8. 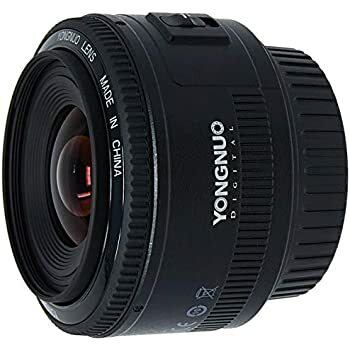 Afterall, it is a pretty cheap lens; how good can it be? Anyway, I got bored one day and decided to order this little. Honestly, I didn't expect much from this lens. At most, it would be portable and a fun lens to shoot around. After receiving the lens and being able to hold the lens in person, I knew I was in for a treat. 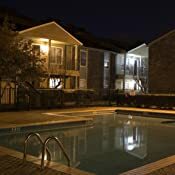 The quality of the construction is very good and solid. 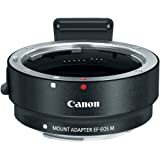 The focusing ring rotates smoothly and the metal mount is very solid. I immediately took the lens out for a few test shots. I will let you see the attached photos; they will speak for the lens. One thing I must admit, this is a very portable lens, but kind of awkward to use at first. It feels as if there is no lens attached. You will soon get used to it. I had a lot of fun shooting with this lens on my EOS 6D body. The images are sharp and lively. 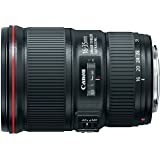 I can see myself using this lens in a professional shoot. The 40mm is great for most purposes since it is not as narrow as 50mm, yet you can focus more on the subject as opposed to a 35mm. Go try one out because at this price, you have nothing to lose. 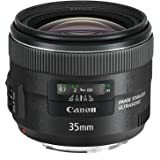 I've owned this lens since 2013 and recently upgraded to the 35mm f/1.4L II and the difference in quality is not that much different for a lot of the photos you'll be taking. 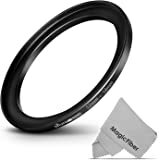 This is definitely a must have for your kit if you're on a budget but still want a really good lens. I bought this on sale for $149 to replace a broken 50mm 1.8 II. After careful study, I determined that this lens not only out resolves the 50 1.8 and 1.8 STM as well as the old 1.4, but also the new 35mm f2 IS. The 35 IS is 95% as sharp though and has faster AF, although the AF on this lens has not failed me. Way better than the 50 1.8 I moved on from. 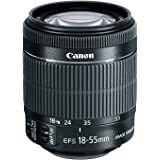 In use, it is the perfect walk around lens. It is lightweight and does not stick out like a sore thumb. I find myself using this lens more than my 24-70L due to its size and weight and razor sharpness. 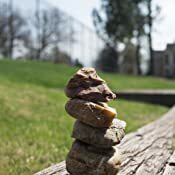 Also, if you post process RAW images, I find that the images with this lens already have so much punch, color depth, contrast and clarity that in post production, I make far less corrections to images. This is now my most used lens. 5.0 out of 5 starsInexpensive - Portable - Discrete - Sharp - Fast - What more could you want? I just fell in love with pancake lenses! We picked up a Canon 6D (full frame) camera recently with the typical zoom kit lens (EF24-105mm). The kit lens is a nice flexible lens, but we wanted a lens to make the camera a bit more portable and discrete for an overseas trip. We also wanted a lens that wasn't so expensive that we'd fear loosing it. 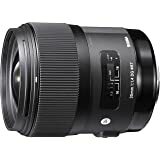 We purchased this lens just before the trip, packed this lens, the kit lens, and a bigger zoom thinking we'd need all three. This lens did a fantastic job all on its own, and we rarely used the other two lenses. 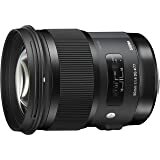 The lens is sharper than the kit lens (guess that should be expected from a prime, but not in this price range). It is also brighter. 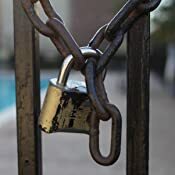 Most of our vacation photos were street photography and macro photography. 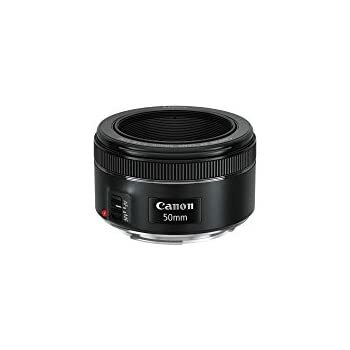 This lens generated very crisp clean images with buttery bokeh goodness. Being a relatively fast lens helped also in some darker shooting situations. Construction quality feels good. My only gripe is that the lens stays focused (slightly extended barrel) after it is removed from the camera and there is no way to manually pull it back in (manual focus is driven electronically). I'm happy to overlook that one minor flaw considering it really doesn't extend that much and doesn't impact lens performance. Minor flaw makes it -1/2 star, but price makes it +1 star. Inexpensive - Portable - Discrete - Sharp - Fast - What more could you want? 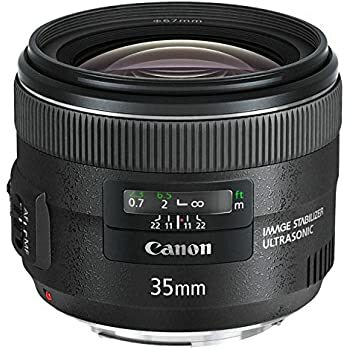 It's an awesome lens, especially for the price. 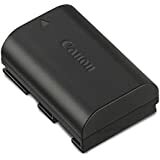 Canon, PLEASE keep making these small primes! I enjoyed shooting with pancake lenses on my Olympus Pen and wanted one for my EOS gear. The EF 40 2.8 STM--Canon's first DSLR pancake--debuted Summer 2012 and caused a stir due to low cost and reputed high optical quality. Here's my take on this able little optic. CONSTRUCTION: Although a small lens, it feels solid in hand, boasting excellent build: metal mount, beefy plastic barrel and comely industrial satin finish. STM AF is not silent but makes a soft electronic intonated "sheeeeet," resembling a sound effect from Tron. Most built-in camera mics will pick it up during video recording. The work around is to use an external mic or prefocus before the clip. Focus is slower than ring-USM but silky smooth. The motor uses "focus-by-wire" manual focus. 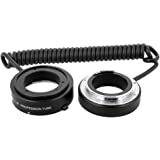 The focus ring isn't mechanically coupled to the lens, but is a simply a switch for activating the focus motor. MF is smooth and accurate, albeit slow. The gotcha is it is only active when the shutter button is half depressed. The nested barrel extends during focus operation. I use the EF 40 2.8 STM on a 6D, 5D MKII and SL1. AF is dependable on the 5D MKII and 6D, but randomly misses focus on the SL1 about 15 or 20% of the time. 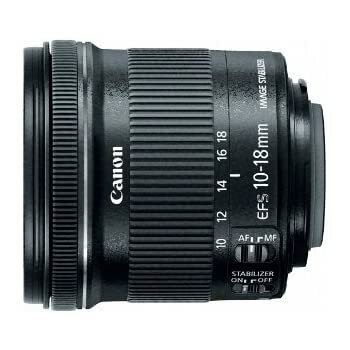 Other lenses are fine on the SL1. IMAGE QUALITY: Wide open at F2.8 my first copy was sharp in the center of the frame but suffered with extremely soft corners on both full frame and APS-C. Corners improved when stopped down to F8 but were still unacceptably soft. Night images with points of light exhibited severe coma (comet-like tail) at F2.8. Stopping down reduced but didn't eliminate coma. For the above reasons, I returned my first copy and bought a refurbished EF 40 2.8 STM from Canon Direct (with a big discount!). What a difference! Wide open, it was even sharper--deadly sharp--in the center. Corners were greatly improved but still slightly soft on full frame. On APS-C the corners were nearly as sharp as the center. And coma was greatly reduced: no coma center frame at F2.8 and only slight coma along the periphery. So second time around a home run! Defocused areas (bokeh) have a pleasantly smooth swirl to them at F2.8, helping offset subjects from background. I find 40mm a natural snapshot FOV for full frame cameras like the 6D. 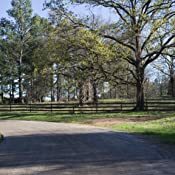 The slightly wide view is perfect for landscapes and environmental portraits. 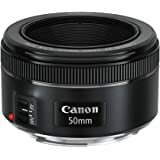 Keep in mind, on APS-C cameras, e.g., 60D, 70D or Rebels, FOV is a 64mm equivalent, falling within the realm of short telephoto. 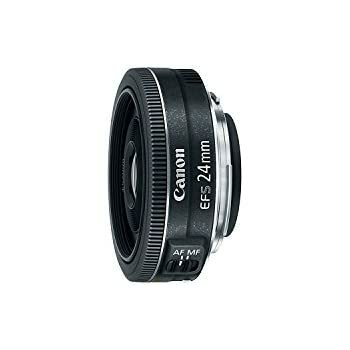 LENS HOOD: Canon makes a dedicated hood for this lens, the Canon ES-52 Lens Hood. 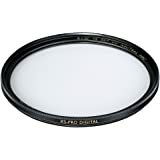 It's just a 52mm aluminum filter ring around a disk with a hole in the center. It provides some shade but not much. 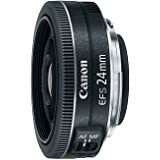 The 40 2.8 is so popular there's a Chinese knockoff of the ES-62 available for a few bucks less: RainbowImaging HES52 Metal Lens Hood for Canon EF 40mm F2.8 STM. 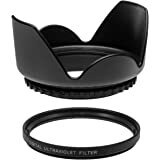 If you want more protection, a generic screw-in type like the RainbowImaging HM52 52MM Metal Lens Hood is better but will spoil the minimalist pancake vibe. I elected to use the ES-52, buying when the price drifted down to $18. 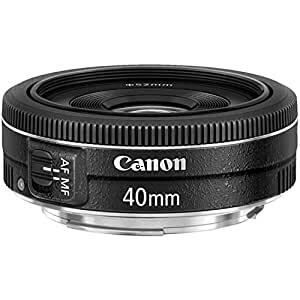 LAST BLURB: Normally $150 doesn't buy much in terms of optics but the EF 40 2.8 STM is the exception to the rule. This lens is sturdy, renders beautiful images and is barely larger than a body cap. If you get a good copy, it's an excellent optic. A basic 6-element design and offshore manufacturing (Malaysian factory) helped reduce costs but compromises in quality control were obviously made to maintain this price point. Test your lens for sharpness and coma before the return period is up. If Amazon delivered a sharp lens the first time, this would be a 5-star review. Nevertheless, I got a great sample the second try so it ended well after some toil and hassle.